SXSW is arguably the highest profile event of the month, encompassing three major focus areas: music, film and interactive tech. SXSW Music (March 13-19) generally fields more than 2,200 official performers and bands playing in more than 100 venues throughout the Austin city limits. SXSW Film (10-18) focuses on new directing talent. SXSW Interactive (10-16) is focused on emerging technology, and the festival includes a trade show, speakers, parties and a startup accelerator. There are also official Welcome Events to get things started at SXSW. Attendees can open their #SXSW experience by enjoying food, drink, and networking. South by Southwest is run by the company SXSW, Inc. which plans and executes conferences, trade shows, festivals, and other events. At SXSW, instructional Workshops are available to badge holders enabling participants to learn a new skill in a variety of subjects and earn a unique SXSW Conference Certificate of Completion at conclusion. Opening the SXSW conference area, Jessica Shortall, Managing Director of Texas Competes, will deliver the conference keynote address. 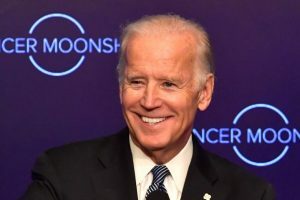 Joseph R. Biden, Jr., the 47th Vice President of the United States, will speak on March 12, reflecting on the progress made under his leadership of the White House Cancer Moonshot. He will be introduced by Dr. Jill Biden. Other featured speakers include, former astronaut Buzz Aldrin with Jeff Kluger, New Jersey Senator Cory Booker, WWE Champion John Cena, Obama White House Office of Science and Technology Senior Advisor Andrew Coy, Chief Implementation Officer for The Fab Foundation Sonya M. Pryor-Jones, founder and former proprietor of the Gawker Media Group Nick Denton, Fast Company’s front-of-book ‘Next’ section Amy Farley, founding member and the drummer for Fleetwood Mac Mick Fleetwood, recording artist with eight consecutive Top 10 hits Kesha, Emmy® Award-winning comedy writer Bob Odenkirk, actor/producer Seth Rogen, founder and chairman of Lowercase Capital Chris Sacca, founding member of new wave rock band The B-52s Cindy Wilson, and many others. New for SXSW music badge holders in 2017, that runs March 10-19, in addition to industry-focused sessions and premier nighttime music showcases, badge holders can also gain expanded access to SXSW Interactive and Film events with their Music badge. In a simple breakdown, this will include Sessions from all 24 conference tracks, which include Brands & Marketing, Government, Intelligent Future, Tech Industry, Making Film, Food, and Style; Film screenings and Comedy showcases; Additional networking events and parties. Additionally, there is an expansion of the Music Festival portion of SXSW with showcases beginning on Monday, March 13, one day earlier than in past years. Not new and back for its fourth year at SXSW, the Social Good Hub is a destination for attendees to create cross-disciplinary connections on an array of topics and themes. Participants can increase their advocacy and impact, and contribute to a more empathetic and equal society. Authentic interactions will examine the role of multimedia storytelling here and abroad, featuring communications experts, media, and dissidents using smuggled information to combat oppressive regimes. This year, the Hub takes place March 12 and March 13 at Techspace Austin. This year, SXSW holds its 20th annual SXSW Interactive Innovation Finalist Showcase on March 12. Then celebrate the winners at the Interactive Innovation Awards Ceremony on March 14 to recognize all the worthy speakers, trends, innovations, and ideas that arrive at SXSW. The Interactive Innovation Awards are 13 categories and 7 special honors ranging from achievements in digital design to health technology and beyond. Innovators from across the digital industry enter their cutting-edge new work in the competition, which is open to all projects, products, and developments launched or made in the calendar year of 2016. CABSAT is an annual Dubai event that is forward focused on the implementation of content creation, content services, content management, delivery, and monetization, filmed entertainment, television, news, film and cinema content, sportscasting services, radio and music content, satellite communication and content delivery. The show’s platform of broadcast, digital media and satellite communications technology innovation is directed toward anyone wishing to target broadcasters, production houses and studios, animation houses, content owners and creators, software developers, telcos, systems integrators and distribution channels in the MEASA region — the Middle East, Africa, and Southern Asian region. 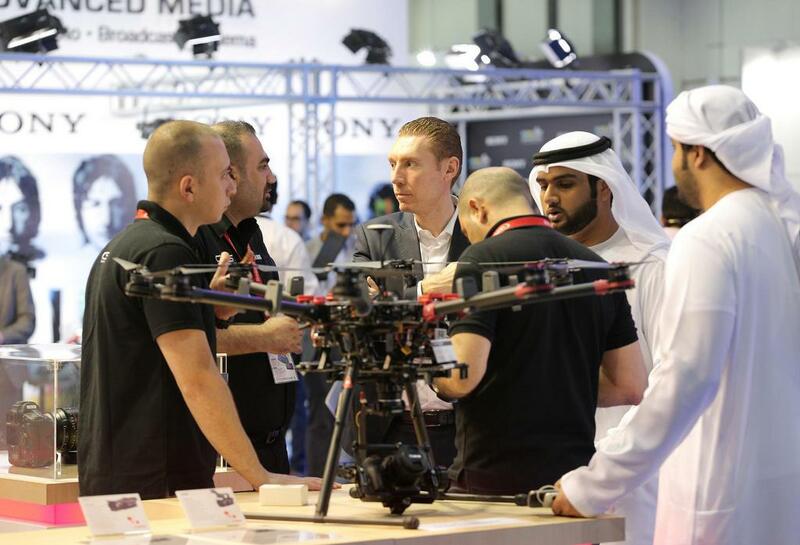 Under the umbrella of CABSAT (#CABSAT) are two other co-located events — SATEXPO and Content Marketplace, all conducted over three days starting March 21. The three-pronged convention sees itself serving the MEASA region of the world. CABSAT’s Content Congress conference and events cover key Hollywood, Bollywood and Arabic TV and Film content — creation, distribution and monetization trends. Attendees can meet, network, and learn from global transmedia, technical, engineering and production professionals (including 40+ international speakers) about the future of broadcast, satellite and content delivery. It is the goal of the conference agenda that attendees will understand future trends and growth opportunities for the MENA (Middle East/North Africa) region’s Broadcast, Satellite, Content Delivery, Digital Media and Filmed and Audio Entertainment communities and gain knowledge from technical and business model projections that are driving growth in the creation, management, distribution and monetization of electronic media. CABSAT’s expanded Content Delivery sector focuses on Over The Top (OTT) technologies that facilitate the delivery of video or digital content via internet protocol and purpose-built platforms for ‘anytime, anywhere’ consumption. Expect CABSAT’s exhibition profile to have on display Plasma TV, Displays, Cable and Satellite Installation, Receivers, Headend Equipment, Dish Antennas, Switches, Modulators, Amplifiers, Camera Equipment and Accessories, Lighting, Audio Equipment and Accessories, Broadcast Equipment and Systems, Production and Post Production Equipment, Computer Graphics Software and Equipment, Motion Picture Products and Services, Satellite Operators, Satellite System Manufacturers, Telecom Operators/Providers, Video Conferencing. CABSAT’s Content Studio Hub will broadcast live interviews, and news feeds directly from the show floor on an arrayed network of screens and on the official CABSAT website. Live Feeds via the Cabsat website and mobile app, social media updates and on-site interviews will be hosted through global and regional speakers, exhibitors and daily event highlights. In partnership with Oasis enterprises, the Content Studio Hub will be the platform to showcase the settings of a Virtual Studio with live interviews taken by CABSAT TV and streamed live during the duration of the show and its aftermath. The GVF Satellite Hub Summit takes place within the satellite area of the CABSAT exhibition, using a dedicated, built for that purpose, centrally located meetings facility. Not only does the GVF Satellite Hub Summit comes closer to the exhibition space and to CABSAT’s thousands of visitors, but offers participating organisations – sponsors and speakers – a higher level of visibility for their support for the event programme, and for the vitally important dialogues and opportunities for networking that the programme facilitates and promotes. The annual Chicago International Television Festival is an international competition celebrating the quality and diversity in TV programming and commercials worldwide. Entries to the competition are judged by a jury of media professionals, recognizing the high level of television programming from around the world and awarding the festival’s highest honor – the Gold Hugo – to works that delight the audience and further the medium. Both individual television commercials and individual television episodes qualify to be submitted for Special Achievement Awards consideration. Individual commercial competes against one another for a “Best Commercial” prize, and Commercial Campaigns compete for a “Best Commercial Campaign” prize. As television productions and commercials continue to evolve in the digital age, Chicago International Television Festival, running March 21-23, is an annual gathering for those who keep the medium vital and help determine its future. The Festival hosts an Awards Night Gala in March, which showcases the winning works and presents career achievement awards to select people or companies that have had a lasting impact on the medium. Past honorees have included Kelsey Grammer, FRONTLINE, Bill Kurtis, Kelsey Grammer, Jesse Spencer, ESPN Films, WTTW, Shawn Ryan, MJZ, Hungry Man, OPTIMUS, and Leo Burnett. For television commercial categories, entrants permit the Chicago International Film Festival (#chifilmfest) Television Awards to show selected entries at the 2017 Chicago International Television Festival Awards Ceremony, the 2017 Chicago International Film Festival, and on PBS WTTW-11 for public judging to determine the winner of the Audience Choice Award. For television production categories, entrants permit clips of selected winners to be shown at the 2017 Chicago International Television Festival Awards Ceremony. Cinema/Chicago, the presenting organization of the Chicago International Television Festival as well as the Chicago International Film Festival, is a year-round cultural and educational non-profit organization dedicated to fostering better communication between people of diverse cultures through the art of film and the moving image. The Film Festival opened in 1965 at the Carnegie Theater, where King Vidor, Bette Davis, and Stanley Kramer were honored for their contributions to American cinema. Since then, the Festival has become a world-renowned annual event holding its screenings and ceremonies in October. China Content Broadcasting Network in Beijing features a combination of exhibits with technical and business conferences. The Keynote Speech Conference and the CCBN-Broadcasting Development Forum (CCBN-BDF) allow industry leaders to review the latest trends and showcase cutting edge broadcast technologies during the three-day convention that concludes March 25. CCBN is also a platform for communication and interaction between Chinese and foreign enterprises in this sector. As China’s economic clout emerges, the role of Chinese companies in the global broadcast and media technology market is becoming more pronounced. At the same time, the maturing and growing domestic Chinese market for broadcast and media equipment provide foreign companies with upside business opportunities. CCBN is establishing itself as an access point to the Chinese marketplace. CCBN-BDF will focus its conference agenda on regulatory policy, technology developments and to a great extent on the trinet convergence of broadcasting, Internet, and telecommunications. The Forum will embrace the principles of innovation, integration and development, and the sharing and exchange of ideas, experience, and know-how. Discussion topics will be broken down into major segments that include: AR/VR Innovation Forum, Media Convergence Forum, Cloud and Big Data Forum, Future TV Development Forum, Ecology and Entertainment Summit, Media Convergence Forum, Smart Broadcast Forum, CCBN International Summit of Digital Cable TV Operators. For one weekend only WonderCon in Anaheim (#WCA) creates activity areas in comics, movies, TV, animation, books and authors, action figures and collectibles for visitors to participate in including masquerade shows, anime screenings, portfolio review, and games. This year’s list of confirmed WonderCon industry invited guests include, Sergio Aragonés, Michael Cho, James Dashner, Olivia De Berardinis, Larry Dixon, Mark Evanier, Matt Fraction, Sanford Greene, Mercedes Lackey, Hope Larson, Bob Layton, Jim Lee, Andy Park, Chris Roberson, Dave Roman, Marguerite Sauvage, Genevieve Valentine, Mark Waid, David F. Walker, Lissa Treiman, Chuck Wendig, Connie Willis, Judd Winick, and Chip Zdarsky, Delilah S. Dawson, Chad Hardin, Simon Spurrier, Margaret Stohl, confirmed at the time of this writing. WonderCon Anaheim 2017 special guest Michael Cho is the illustrator behind this year’s WCA Program Book cover. Cho is best known for his variant cover work on titles such as Marvel’s Civil War II, and his covers for DC’s graphic novel collections of Golden and Silver Age stories, such as the Flash, Justice League of America, Superman, Batman, and much more. Twenty companies will participate in WonderCon game demos, and there’s a full schedule of sanctioned tournaments, including popular favorites like HeroClix, Magic The Gathering, Pokémon, and more. WonderCon Anaheim Games offers over 95 different game titles during the convention, including tournament rounds. The free games that can be played all weekend include Cards Against Humanity, Defiance Monopoly, Exploding Kittens, Fluxx, Guillotine, Lunch Money, My Little Pony, Pandemic, Settlers of Catan, Superfight, Superhero Squad, Ticket to Ride, Tsuro, Ultimate Battles, VS System, and much more. WonderCon Anaheim also features an open gaming area with tables available to play a selection of games. Nighttime Games will also once again be part of the activity. As the Exhibit Hall closes at 19:00 on Friday and Saturday, nighttime game events will move to the Anaheim Hilton, the headquarters hotel, right next door to the Anaheim Convention Center. WonderCon’s Comic Creator Connection is structured to assist aspiring comic book artists and entrepreneurs. The event puts writers and artists together to see whether they can find their creative counterparts. In two 2-hour sessions — March 31 and April 2 — writers and artists can sit down and meet each other in an optimal environment. In five-minute sessions, attendees may talk one-on-one with individual prospective collaborators about their ideas and skills. At the end of each five-minute period, all participants get up and move on to the next person. Future contact arrangements are made by placing any contact info (name and email address) on a supplied card for a prospective partner. Interested parties can sign up for Comic Creator Connection online in advance by sending an email to programs@comic-con.org. The deadline for applying for the WonderCon Anaheim 2017 Masquerade as a contestant is on March 17 and the Masquerade event itself will be April 1. The Masquerade event is a stage show featuring theater-style lighting, enhanced sound, and a giant high-definition video screen displaying great close-up views of all the entertaining costumes that come from the imagination of the attendees. Most of the costume presentations are accompanied by specially selected music, some with effects and elaborate choreography. The Master and Mistress of Ceremonies introduce each presentation, and the panel of guest judges selects the winners in various categories. Costume entries cannot be purchased or otherwise commercially obtained, but must be an original creation or show significant modification of pre-existing materials. WonderCon Anaheim will open March 31 and run through April 2. The above events are only a sample of what is fully listed. Complete details are on the “Calendar of Global Media and Showbiz Industry Social Networking Events” page. If you like this report and other content found on The Actor’s Checklist, please consider liking the Facebook page at this link. This month’s photo placement shows (starting from top of page) Hugh Jackman as the Marvel Comics character Wolverine in ‘Logan,’ marks the third and final Wolverine film. The film also stars Patrick Stewart, Dafne Keen and was directed by James Mangold. ‘Logan’ had an $85.3 million opening weekend, putting it in fourth place for the biggest R-rated opening weekends of all time. 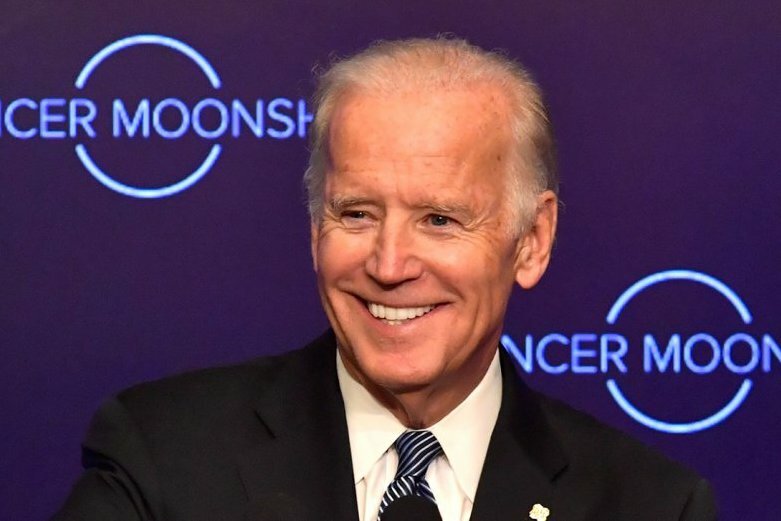 Vice President Joseph R. Biden at SXSW 2017, the SXSW 2017 logo, the CABSAT logo, a drone demonstration at CABSAT, THE WonderCon Anaheim logo. Moving into April, the global calendar of events picks up steam with important dates to be mindful of. The Audience Awards Film Festival comes to North Hollywood, highly anticipated NAB Show 2017 returns to Las Vegas, French Quarter Festival will be in New Orleans, Tribeca Film Festival is in Lower Manhattan, MIPtv will be in Cannes, Musikmesse will be in Frankfurt an Main, Broadband TV Connect Asia will be in Hong Kong, Coachella Music Festival will happen over two consecutive weekends in Indio, Billboard Latin Music Conference and Awards will be in Miami.